Seed pods full of character and so 3D ! Fine composition too ! I've always liked these Liquid Amber seed pods. We have some trees in our complex, and "stray" seeds from these pods have resulted in 4 volunteer trees growing in pots on my patio. If I let these little trees keep growing (I really don't have the space), I may have a forest outside my house! 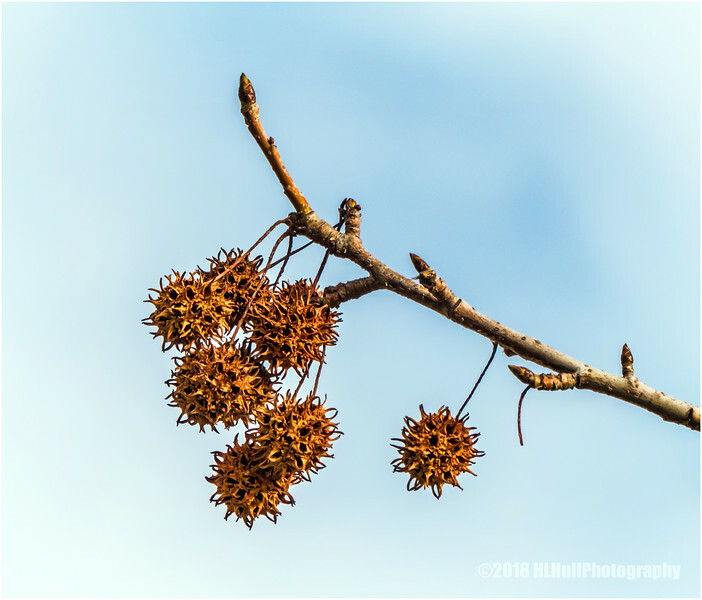 Terrific shot of the sweet gum seedpods! Excellent shot of these dangling spiky sweetgum balls. Very interesting seed pods, fine composition as well !